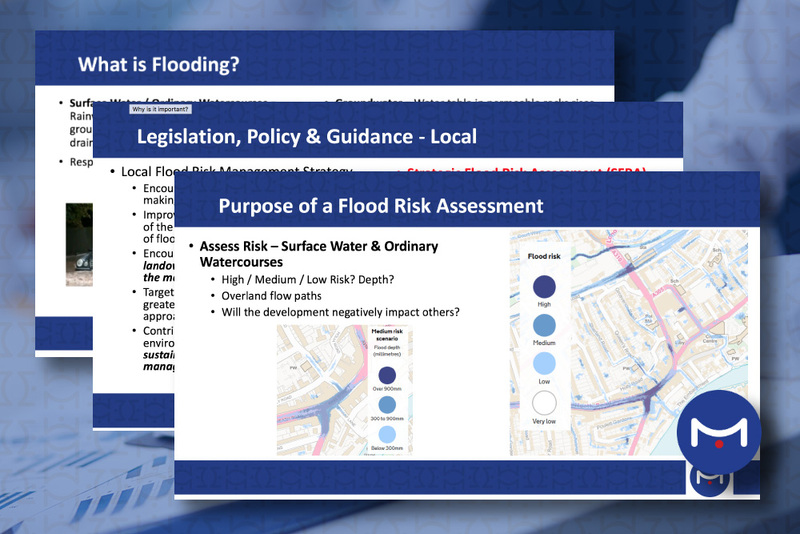 Following previous work updating their Strategic Flood Risk Assessment, the London Borough of Richmond upon Thames asked Metis to provide internal training for their Development Management Team. The purpose of the training was to develop the skills and knowledge of more than 30 officers on best practice review of site specific Flood Risk Assessments (FRAs) – with an emphasis on assessment of flood risks associated with development of basements. Basement development in Richmond is a commonly contentious issue for a variety of reasons, so the Development Management Team needed to have a robust and defendable review process to support their planning decisions. Three training sessions were delivered by Michael Arthur and Mike Mair over the course of a day. 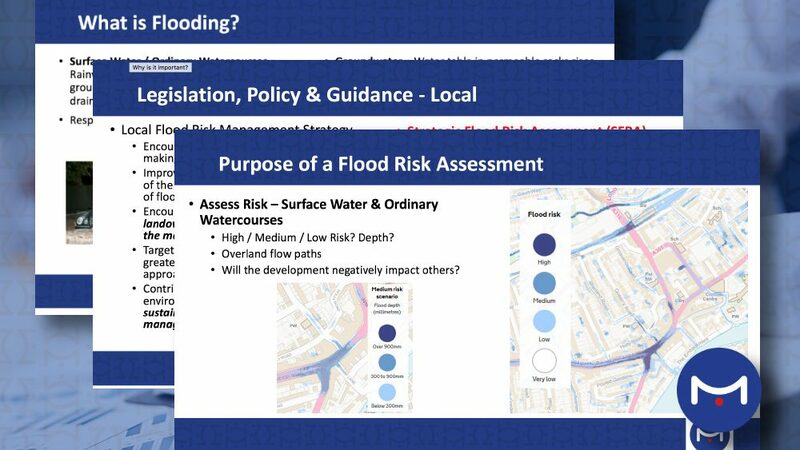 The sessions included general background on flood risk sources, relevant legislation, guidance and policy along with practical exercises assessing previous applications using a bespoke FRA checklist developed by Metis.